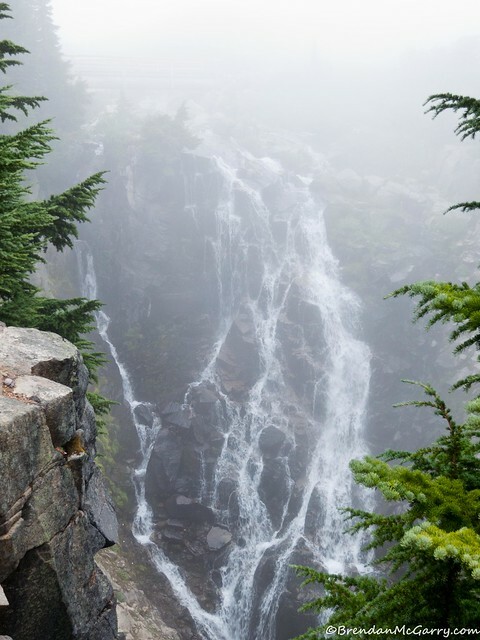 The seasons can change quickly in the high Cascades. A day in early November, a crust of fall hung over Paradise Valley, but a few juncos, Audubon’s warblers, and varied thrushes were still about. Visiting Myrtle Falls, an American dipper rattled by, the latest I’ve ever seen one there. 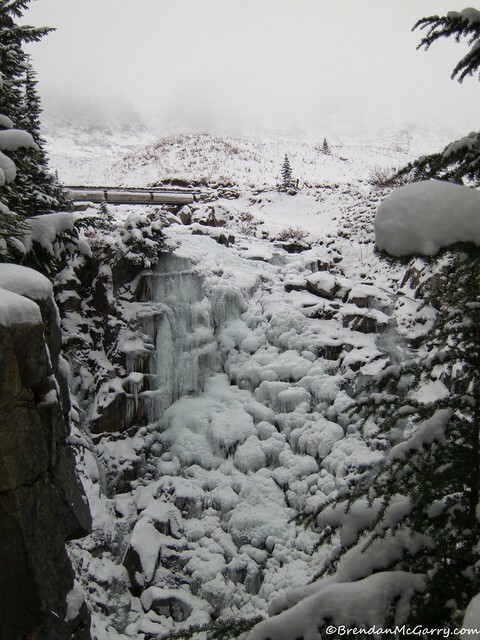 Three days later, a foot of snow was on the ground and Myrtle Falls was all but ice. 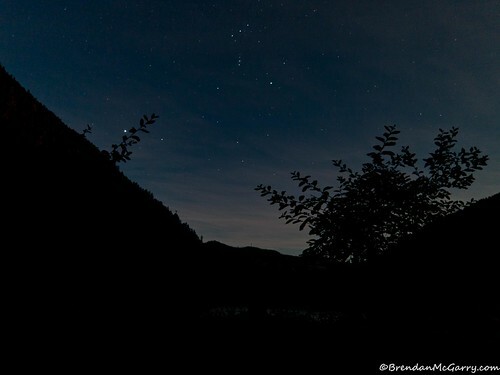 All the birds were gone, including the dipper, back to lower reaches of the mountain. The dippers gave me pause, did they just fly downstream, or was something else going on? 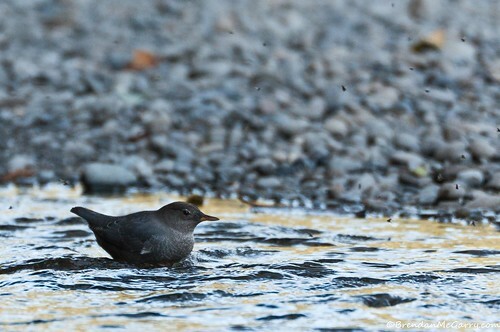 Considering a constraint that appears rather limiting, being obligates of running, relatively clean water, the American dipper (Cinclus mexicanus) is an extremely versatile species. They range from Alaska to Panama, generally west of the Rocky Mountains when in North America. Migration South, for a plush winter hideout in a tropical creek isn’t part of the deal either. They are not migratorial in a latitudinal sense. Rather they are altitudinal, yet a pair will often occupy a productive territory throughout the year. So if a territorial pair stays in the same place (believe me they are territorial) and these birds exclusively inhabit rivers and streams, how does their dispersal work? 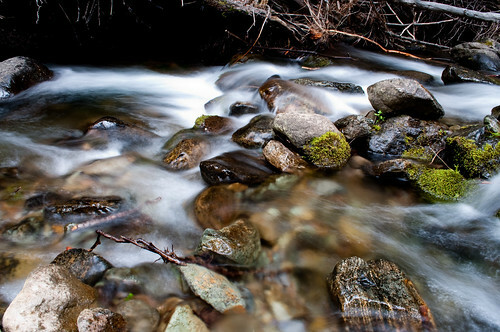 Where do they go when the weather gets bad up in the mountains, assuming there’s others downstream? Being territorial, generally solitary birds, it’s not as if they gather up in winter flocks. John Muir, among his other florid labels, would have called dippers “water ouzels.” The name dipper describes not their habit of dipping into water to find food, (for they and their three congeners are the most aquatic passerines in the world), but for their movement on land. Anyone who has spent even a few minutes watching a dipper will have seen them alight and bob their body up and down in a weird little jig. A more agitated bird will even dip more rapidly; this might be a method of display that doesn’t require them to constantly raise their voices above the torrents, although they are fairly adept at that too. Most times when I see them, I hear them first. So back to the initial question – where are the birds nesting in places that receive snow and freeze during the winter going? Dippers are extremely hardy birds (reportedly enduring -50°C winters in Alaska) and if their stream doesn’t freeze and has food, they’ve been noted year round where they breed, relying on a low metabolism and extra thick coat of feathers to endure. Multiple pairs of dippers can occupy a single drainage, simply dividing up the waterway in parcels, and in cases where a pair above disperses seasonally, it’s surmised they may skip over a pair wintering below them. These answers are about what I expected but I always enjoy delving a bit deeper to test my ideas with research that’s been done. I’d have never known that in some places, winter densities can get quite high, including a finding of 35 birds/km along British Columbia’s Okanagan River. For a bird that will fiercely chase away interlopers during the breeding season, it’s funny to think of them in such proximity. Frozen water is only one thing forcing these birds to disperse, the underlying reasons revolve around the dipper’s exclusively animal diet. 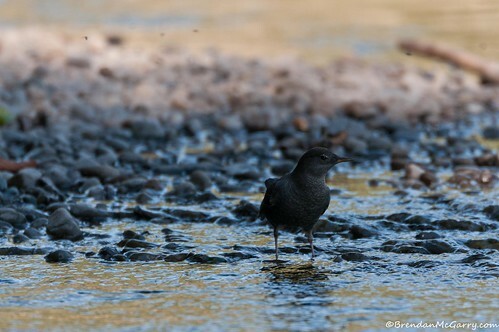 A few years ago I had the pleasure of spending several afternoon with a family of dippers in the Sierras. Beneath the bridge that crossed a rushing creek to my summer quarters, a pair of dippers had raised their young. One afternoon in particular was spent watching a youngster being fed. The interim between parents stuffing food down its gullet the fledgling spent singing a mangled dipper slurry. It was so charming I couldn’t help but giggle at this bird that appeared to lack all self awareness at his butchered song. Had he noticed me, I suspect the reaction would have been that of a teenage caught singing boisterously off key. After his parents had finished their job of raising him, he’d eventually disperse to another drainage nearby. 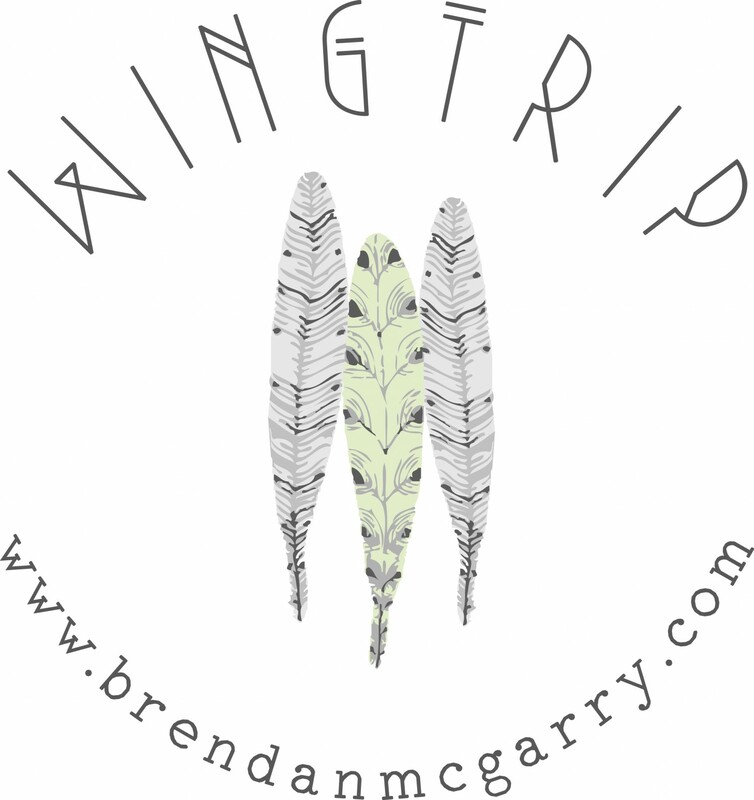 But while he flew off, his parents would do something pretty astonishing, they’d molt all flight feathers simultaneously. This means that they cannot fly for a short period, fully relying on water for protection from predators. For a passerine, this is incredibly peculiar. I’ve never seen a dipper anywhere but along running water or the occasional lakeshore or coastline but these youngsters have to disperse between drainages at some point. This means they might occasionally cross land. Some have surmised this happens at night since there are no observations of cross drainage dispersal during the day. This only sort of makes sense to me. On the one hand, traveling out of their element at night would be safer. However, you’d also think that they’d just go downstream till they found a fork and follow that elsewhere. If I got to choose, I’d imagine them waiting till the cover of darkness, listening for the moonlit tinkle of running water as they hurry through the forest or high above on their search. 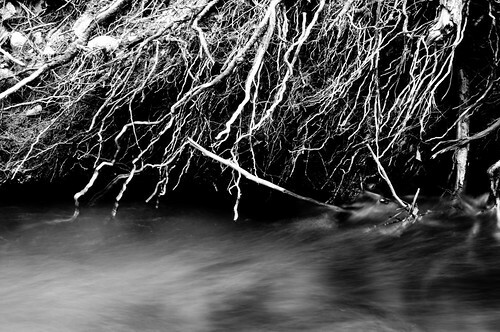 A night exodus in search of the torrent.